This Scalextric C3739 BMW E30 M3 is new and unused, it is complete with all parts present and correct. 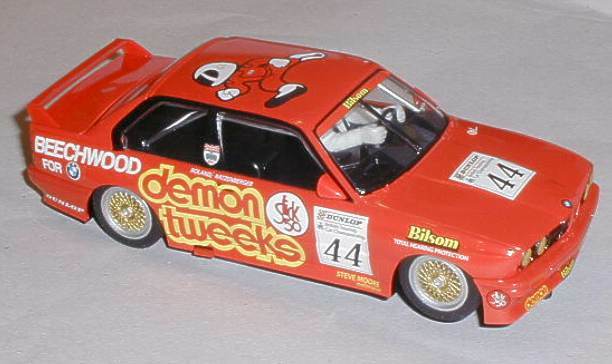 This is a Scalextric model of the BMW M3 raced by Roland Ratzenberger in the 1988 BTCC race at Brands Hatch. 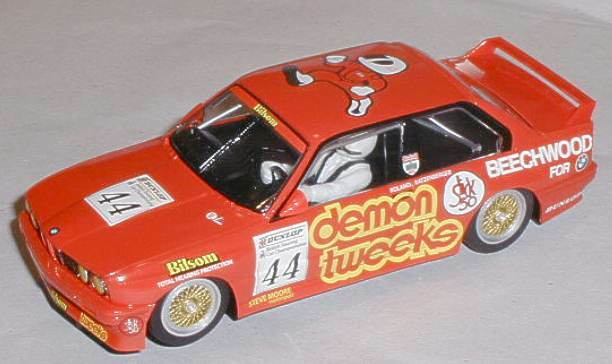 The Scalextric C3739 BMW E30 M3 is fitted with its new and unused pick up braids. The window and interior mouldings are complete and have no cracks or other damage, the driver is fitted. The body has no scratches or other marks and the factory applied decals are in perfect condition. The neodymium magnatraction magnet is fitted. The new tyres are in good, grippy condition. The white LED headlights illuminate well as do the red LED tail lights. 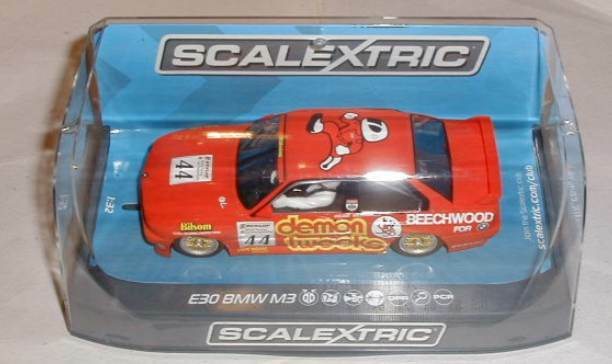 This unused Scalextric C3739 BMW E30 M3 model is in wonderful condition and would add significant value to any collection. Simply put this car is just as it was when it left the factory.